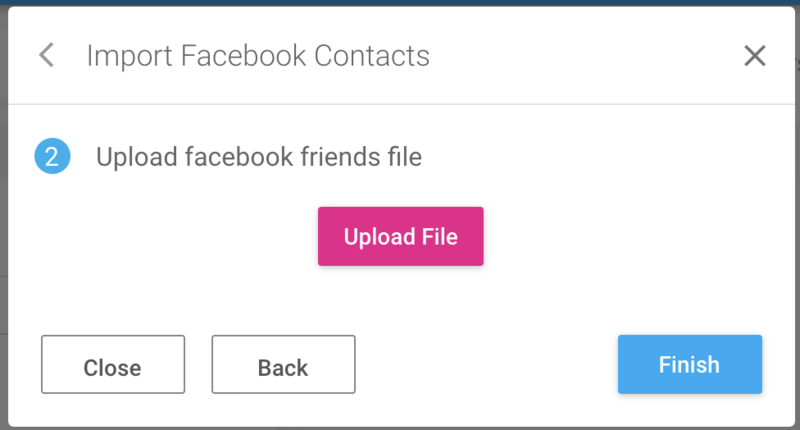 Importing your Facebook Contacts is now even easier! The best way to upload contacts is via the iOS App, or with the Google Chrome Extension from your browser. 1. Visit the Chrome web store and install Traktivity Helper. 2. Open Traktivity in your web browser and log in. 3. 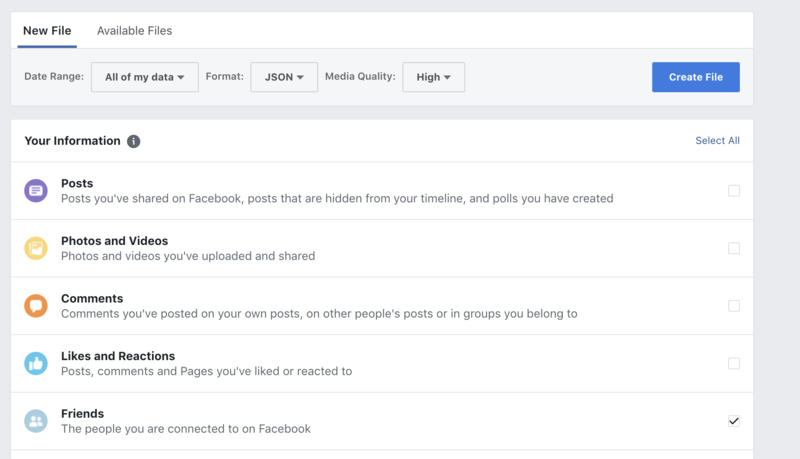 Open Facebook in another tab, and log in. 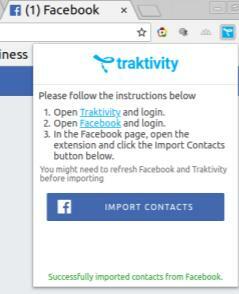 From this tab, select the Traktivity icon, and click the "Import Contacts" button. 4. Once you're done, you'll see the successful import message and can close the extension pop-up. Now you're ready to go! 2. Click "Download Your Information"
3. 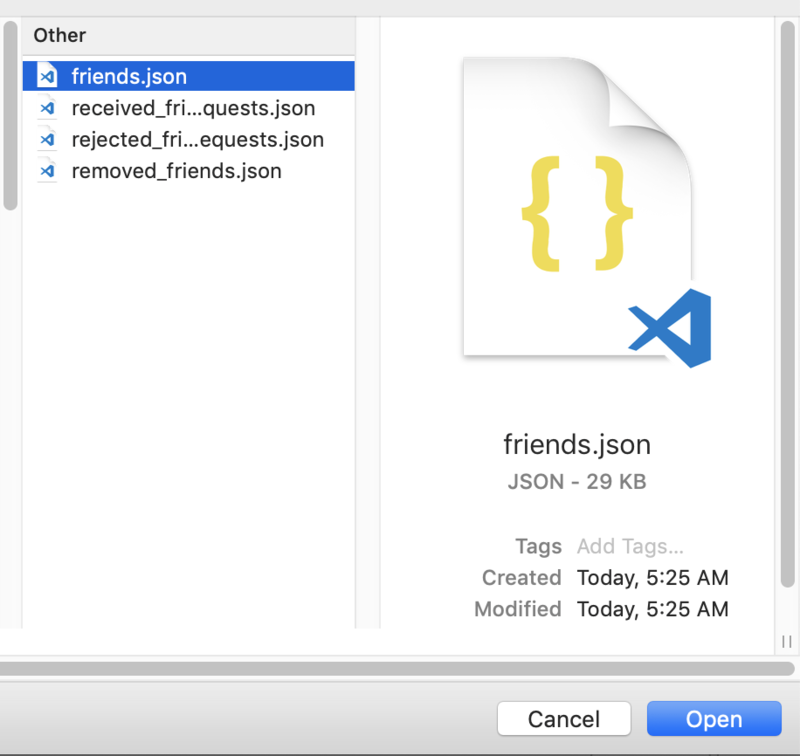 Change File Format to "JSON"
4. Uncheck all but "Friends"
12. The import should only take a few seconds!